We are counted among the prominent Anti Static Coverall Manufacturers in India. Our Anti Static Coverall is a three layered homogenous as well as versatile vinyl flooring that are made using technically advanced calendaring technology inherited from South Korea. 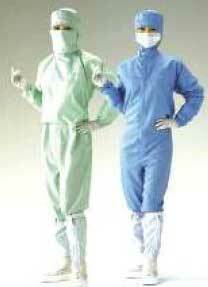 Our Anti Static Coverall is available in customized designs as per the requirements of the clients.